Justice Department special counsel Robert Mueller has been running ultraquiet since the end of the summer, but he could resurface soon â" and he may make a hell of a splash. 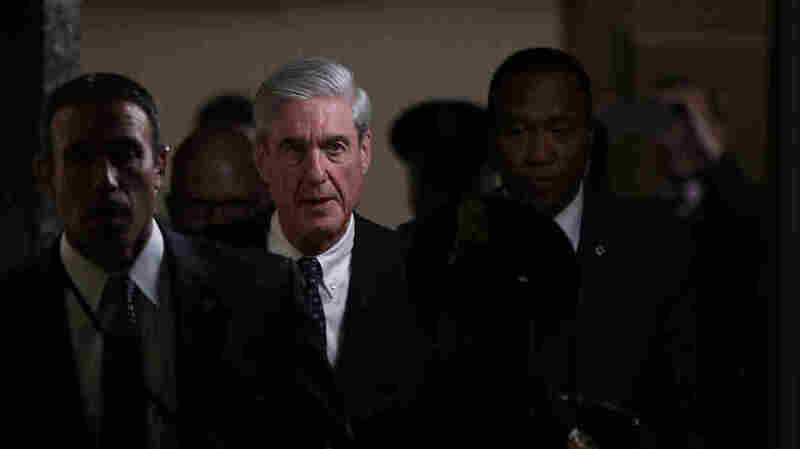 Election Day on Tuesday may mark the end to Mueller's much-discussed quiet period, and as usual, while the rest of Washington dances around in a ring to suppose, he sits in the middle and knows. The temperature appears to be rising already. Investigators appear to be pursuing another possible link between the top of the Trump campaign and the Russians who attacked the 2016 election. Political consultant Roger Stone says, yes, there are emails between him and Donald Trump's then-campaign boss Steve Ban non talking about help they expected to get from WikiLeaks in the final weeks of the 2016 campaign â" help that originated from Russia's military intelligence agency, the GRU. But no, Stone says, he didn't have any communications with WikiLeaks beyond those already in the public eye. When he appeared to represent himself to Bannon as an interlocutor to WikiLeaks, he was just blustering, Stone says. "What I am guilty of is using publicly available information and a solid tip to bluff, posture, hype and punk Democrats on Twitter," Stone wrote this week. "This is called 'politics.' It's not illegal." Roger Stone speaks to the media after appearing before the House intelligence committee at a closed-door hearing on September 26, 2017, in Washington, D.C. Meanwhile, WikiLeaks' boss Julian Assange is in a spat with his host, the government of Ecuador. Assange sought refuge in its embassy in London to avoid arrest in 2012 for various legal troubles in multiple countries and he has remained there ever since â" but things now appear to be gettin g a little awkward. 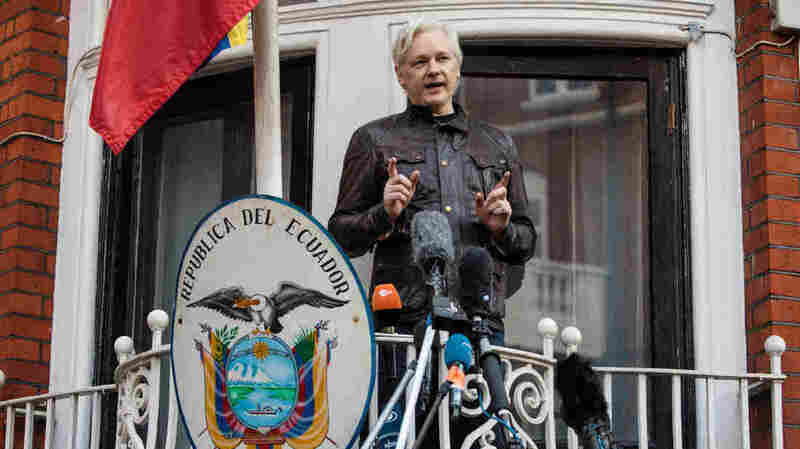 If the Justice Department were to unseal charges against Assange connecting him to Russia's active measures, that might prompt a new debate inside Quito as to whether this tenant were worth keeping around. And if the feds decide to charge Stone, the question may then become whether he changes his tune when confronted with a no-kidding prosecution. Several other Trump world loyalists have turned into cooperating federal witnesses. Americans lived through the Trump candidacy and presidency and that side of the story is fresh in the national mind. And Mueller has documented the Russian side of the story in court documents that describe its disinformation war and its cyberattacks. What hasn't been established is whether there was any connection between them and if there was, who was involved and how it worked. 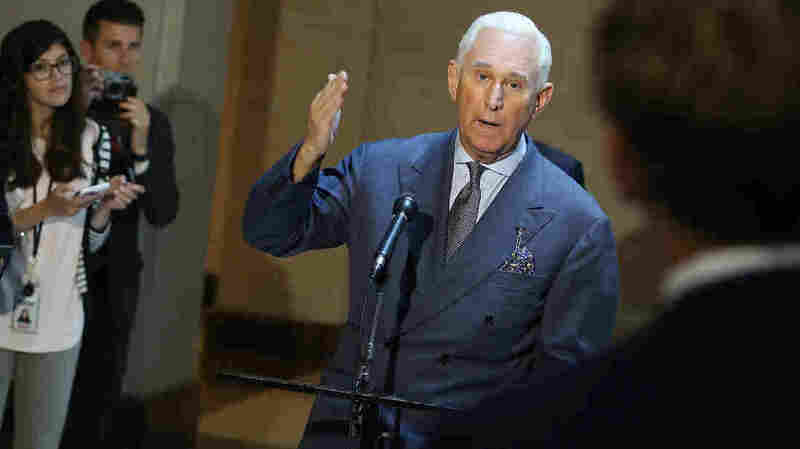 Stone's acknowledgement m ay bring Mueller's investigation one step closer to concretely establishing that connection: Stone was communicating with Assange, who was releasing material politically helpful to the Trump campaign obtained by the GRU. Back in early 2017, Assange asserted that Russia was not the source of the emails WikiLeaks released, an assertion the Washington Post's Fact Checker gave "three Pinocchios" at the time. Does that add up to "collusion?" The difficulty in answering the question lies in what "collusion" has come to mean in the political atmosphere inside the United States. Months of speculation about a possible conspiracy between Trump world and the Russians have created expectations that there might have been some kind of active, back-and-forth scheme between Americans and Russians in 2016 aimed at affecting the presidential election that landed Trump in the Oval Office. If that did happe n, nothing along those lines has so far been proven. The law may nonetheless have been broken, however. If Assange conspired with Stone and, indirectly, Bannon, that might be against U.S. campaign finance law because Assange is a foreigner â" among other potential violations of federal law. But there's at least one more layer: Assange's ties to Russia are well-known. Stone might have suspected where the stuff Assange released was coming from. Suppose there were proof that Assange plotted with Stone about helping Trump by dumping stolen data, including the emails from Hillary Clinton's campaign chairman, John Podesta. Is there also proof Assange knew the material had been pilfered by the Russians? And is there proof that Stone knew? And is there proof that Stone communicated as much to Bannon or others inside Trump world? Establishing "collusion" that satisfies the public expectations requires extraordinary evidence. In this scenario, proving "collusion" between the Russian government and the Tr ump campaign back in 2016 would entail showing that Bannon knew this chain ultimately reached all the way to the headquarters of the GRU â" "the Aquarium" â" in Moscow. Maybe investigators have evidence of that magnitude â" or more? So far, though, nothing along those lines has been made public. There are other prospective avenues for demonstrating a conspiracy aside from the Bannon-Stone-Assange nexus. Investigators believed in real time in 2016 that another Trump campaign junior foreign policy aide, Carter Page, was a Russian agent â" among other potential subjects. Donald Trump Jr., Jared Kushner, former campaign chairman Paul Manafort and then-Sen. Jeff Sessions also had contacts with Russians during important parts of 2016 and so on. There's no way to know now what any of that means. Everyone from the president on down has denied strongly doing anything inappropriate. Trump world says ther e was no "collusion" nor any attempt by Trump or anyone else after the election to frustrate or obstruct the investigation now being led by Mueller. In fact, the administration has been able to manage this imbroglio and even thrive politically in spite of it. "Collusion" has become a thing Democrats believe took place but Republicans do not. Here's another big potential milestone that could be around the corner after Election Day: Mueller could close up shop. He owes Deputy Attorney General Rod Rosenstein a confidential report when he concludes his work but there is no guarantee all or even any of it could become public. Conventional wisdom in some quarters of Washington, D.C., holds that Mueller will issue a Sept. 11 Commission or Ken Starr-like report â" a big white tome for sale at airport bookstores that will tell the story of the active measures campaign with a big narrative sweep. Maybe he will, but nothing obliges him to do so and, moreover, that doesn't comport with what the special counsel's office has done so far. Mueller himself has been an invisible cipher. His office does not issue helpful charts and diagrams and bullet points designed to explain things to an average reader. In fact, the only thing it has produced are court papers â" criminal information, indictments and suchlike â" and dry statements about its expenditures. Will this office of prosecutors â" who speak lawyer language â" and law enforcement and intelligence officers â" who never say anything to anyone â" suddenly produce a helpful guide to What Every American Must Know About Foreign Election Interference? It's possible. Maybe, on the other hand, if and when the special counsel's office completes the law enforcement work it thinks it can accomplish involving people whose cases remain unresolved, that will be the end. That probably wouldn't mean the Russia case would be closed, however â" as NPR's Ryan Lucas and Tamara Keith report, Democrats are poised to unleash a cauldron of snakes against the Trump administration if they take control of the House of Representatives. So this imbroglio could roll on into another year when the new Congress is seated in January. In the meantime, nearly everyone will be watching, starting Tuesday, for Mueller to resurface.